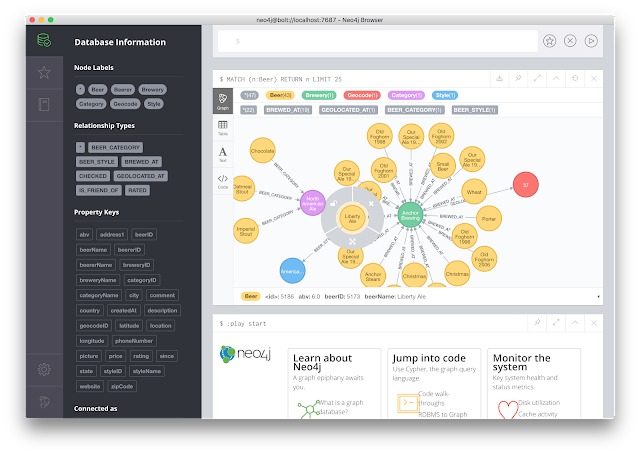 into the Neo4j browser, and then you can access the entire guide, add some data to your dataset, and play around. However, that did not really do it for me, so I went looking for a dataset to try some stuff out myself. I remembered accessing a dataset before that had geospactial coordinates in it: the Open Beer Database. Or what did you expect? 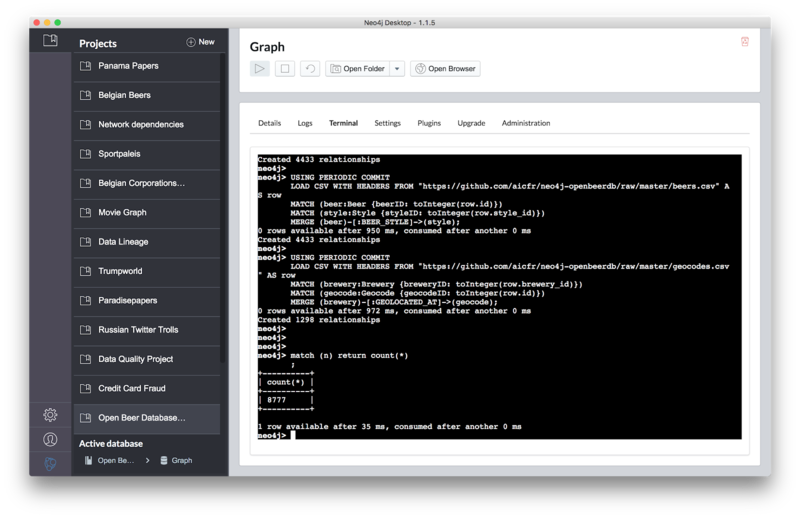 That dataset is publicly available in a set of .csv files, so very suited for a quick import into Neo4j. Even better, I found Kevin Heraud's Github account, and his set of ready-to-to import scripts that I could start from. Easy. 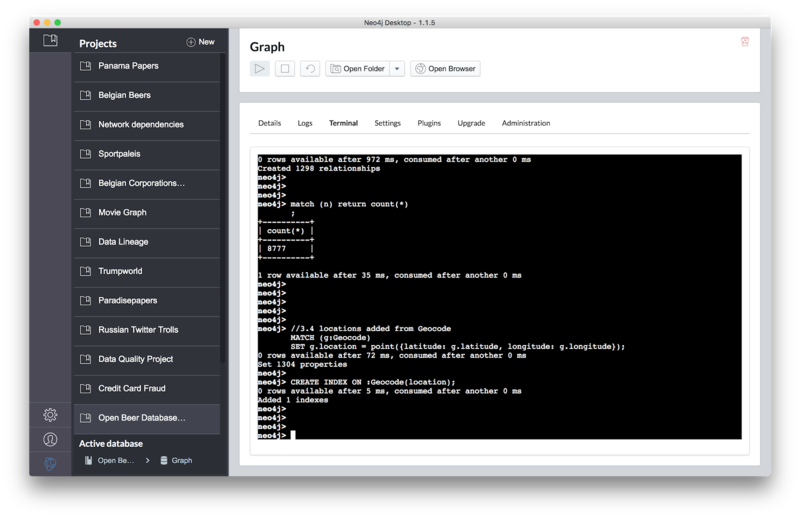 some query examples over here. Essentially what I did is the simple, and I will take you through it step by step. 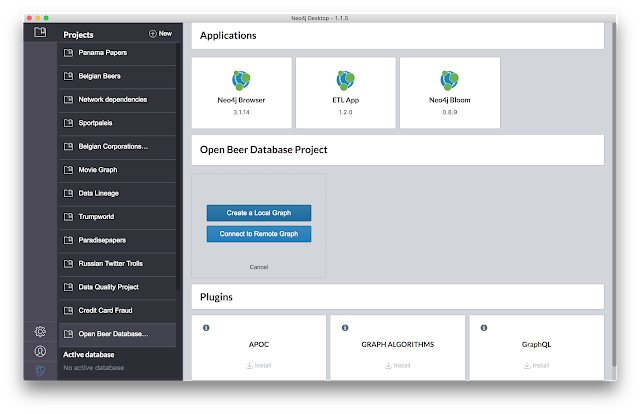 Now that we have that database set up, we can start doing some Beer-related (!) 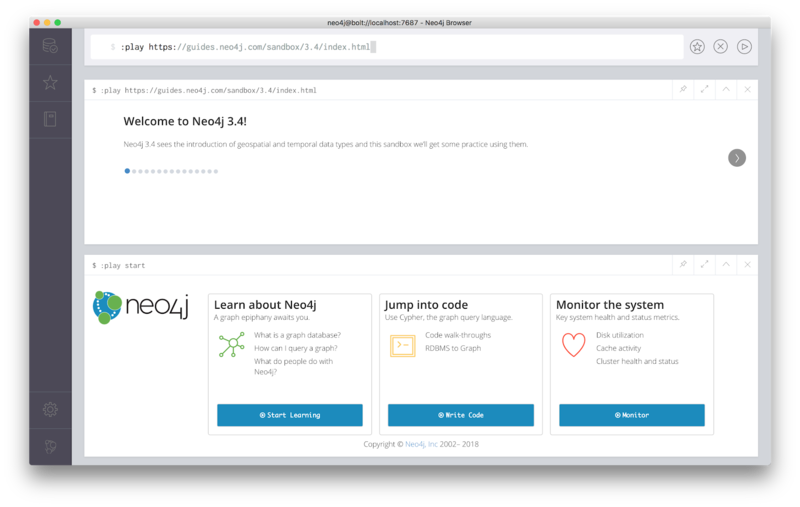 geospatial queries in Neo4j. Let's do that in part 2/2 of this blogpost. Hope that's useful - comments always welcome.